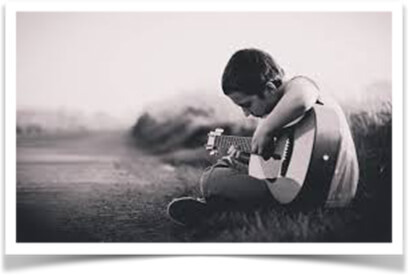 I started playing guitar when I was around 14 and never stopped in the last 20 years. My guitar has always been there for me, in the best as in the lowest moments. Together we went through a lot of sorrows, bliss, experimentations of all sort and well, probably like any relationship after so many years together my guitar and myself got used to one another and somehow ended up often going through the same routine of chords, songs and solos. Boredom was not far. And so as it sometime happens about a month ago I started frequenting another party. This new adventure brought new colours to my life, a new enthusiasm, a new passion, I discovered a new love for music thanks to a… ukulele. Just like any new relationship at first I found myself shy and clumsy. I had to discover new finger positions and I could feel my brain rewiring. 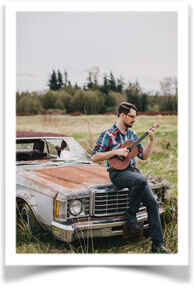 But let me tell you one thing, a ukulele is a very inviting journey! Because it could fit in my bag I found myself going everywhere accompanied by my new passion, a break at work, a walk in the park, a tea at home, my ukulele quickly became my ever present companion. My Ukulele offered so many exciting advantage over my beloved guitar, more affordable, happier, more colourful, easier to travel with, cheaper to maintain, I also noticed that ukulele draws people, it makes them smile. More than once I engaged in passionate music conversation with total stranger thanks to my new friend because everything in a ukulele says: “I am cool, I am open minded, I take life with a smile”. But don’t get me wrong a Ukulele can take you far in the musical world.It’s not because everyone can play it that you can’t do advanced stuff with it. I have heard beautiful classical pieces played with great gusto. After pondering on it, if were to summarise what a ukulele does to you, I would say that it brings forward the musician you don’t know you can be. 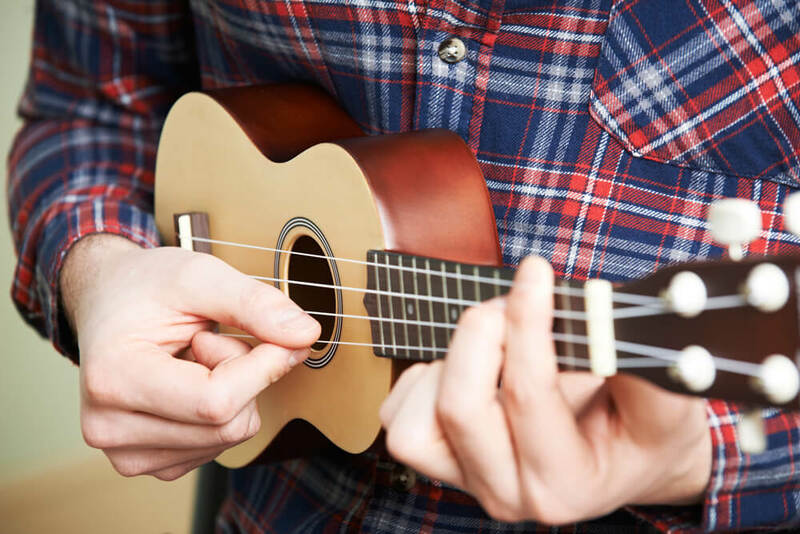 Each ukulele player, beginner or maestro, has his own universe, tricks, chords, and fun. Recently I have started leading a Ukulele circle at Gandharva Loka, 6pm every Friday and all of this has become very evident. It is an instrument that everyone can enjoy. I could write more about my Ukulele adventure but honestly there comes a point where one just has to experience. So, if you get a chance to drop by the shop, a few minutes will be enough to teach you your first chord progression. 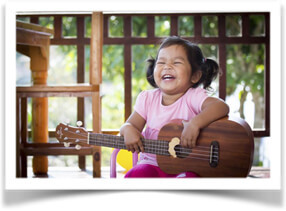 And remember a ukulele is not just an instrument it’s a tool to bring happiness! Great story, Pierre! It reminds me of my own new relationship with the banjo that has also spiced up my musical life. But perhaps I should give the ukelele a go as well!